Towards the end of June we flew south to Bristol for a friend’s wedding. With some time to spare before heading for Oxfordshire, we decided to do a little tidying up in Devon and Somerset. 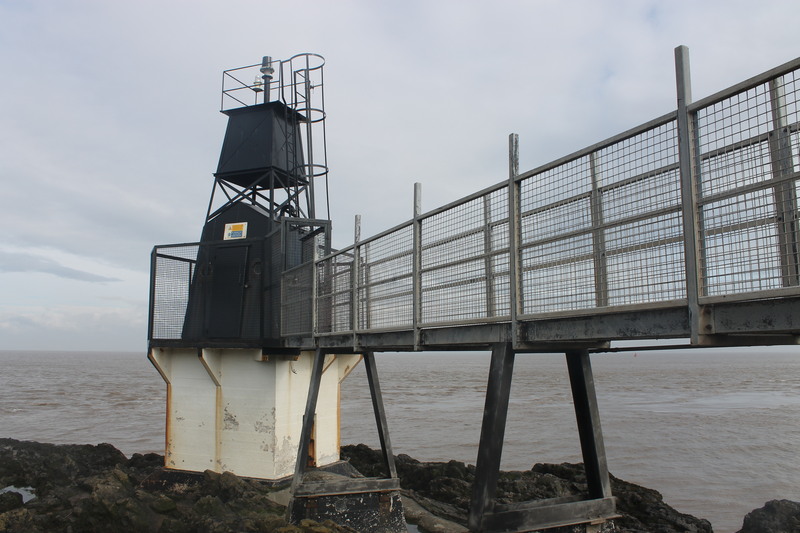 When we had previously been in the area doing some lighthouse bagging back in June 2013 we thought we’d got them all. 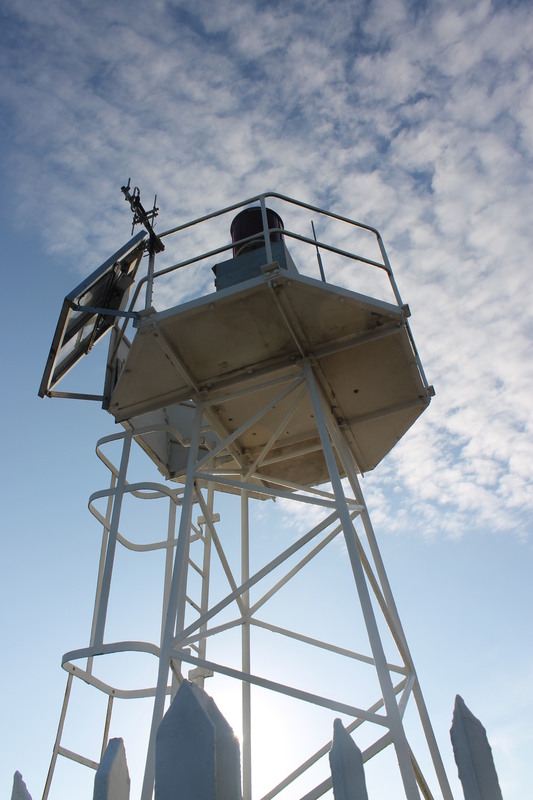 However, we have since reviewed the Ordnance Survey mapping in various scales and found that three in this area were marked as beacons on the 1:50k scale, but as lighthouses on the 1:250k scale. So we contacted Ordnance Survey directly to ask for clarification on the categorisation of these three potential lighthouses. They responded to say that they were lighthouses and that there was an error on the mapping, which would be resolved in the next update. So, after arriving in Bristol we headed west for North Devon and the Barnstaple area. Just before reaching Braunton we turned off and paid £1.50 to use the toll road along to Crow Point. The area is sometimes used as a military training area, but there was nothing going on when we arrived. We parked up and then began the stroll along to a sand bank, knowing only that the lighthouse should be someone on the bank. It was only when we got to the top of the sand bank that we were able to see what we were looking for. It wasn’t the most inspiring of lighthouses. Kind of like the English version of the Scottish “flat-packer”, as we call them. The only thing I can really say in favour of it (aside from its use for navigation) is that there is a great view back towards the mainland if you walk around the west of the sand bank. The sea was lapping just below us on the other side of a row of rocks. We were also there as the sun was going down, which always makes for a nice atmosphere. The following day we set off early from our hotel in Portishead to bag a couple more lighthouses before we drove to the wedding. Fortunately these two were not far from each other, both in Portishead itself. Our first stop was Battery Point, just a short distance from the centre of the town. This lighthouse is unlike any I’ve seen before. It’s not one of the “wow” structures and does have similarities to Crow Point, but it has its own uniqueness (as you can see from the picture). There is a small bridge leading across to it, which you can wander across and you can also stroll around on the rocks near the base. We did both, of course. The location is fantastic, a really relaxing sort of place. Nearby there is a memorial stone erected by the Merchant Navy Association North Somerset Branch in 2005 in honour of those from the West Country who sail past the point, some of whom have not returned. Some flowers and messages are placed at the bottom of the stone. We then drove a short distance across to the west side of Portishead to the West Hills area. We spotted some National Trust signs that looked like they marked paths leading in the right direction for reaching Black Nore lighthouse. I was delighted to see that one of the houses along the road we parked on had a beacon in their front garden (although I’m not really that into beacons) and a beautiful turret-like tower with big windows looking out towards the sea. The walk along to the lighthouse was really interesting. There haven’t been many times that I’ve walked through what seemed like a forest in order to reach a lighthouse. The path runs alongside the coast and you get some nice views between the sections of trees. We reached the lighthouse and, again, it’s not necessarily got the wow-factor like some others, but it is stunning in its location. A really lovely tower and even more delightful that we got to find out a bit more about it. As we were thinking of heading back to the car, we started chatting to a man who was sitting on a nearby bench with his dogs. He informed us that M.V. Balmoral was on its way across from Bristol and we should be able to see it in another 10-15 minutes. He informed us that the Balmoral was built in 1949 and was brought back this year for day excursions after being kept in Bristol Docks in recent years. We decided to hang around to see it. While we were waiting, the man told us a bit more information about the lighthouse. When the light was decommissioned the lens and mercury on which is floated were taken away. 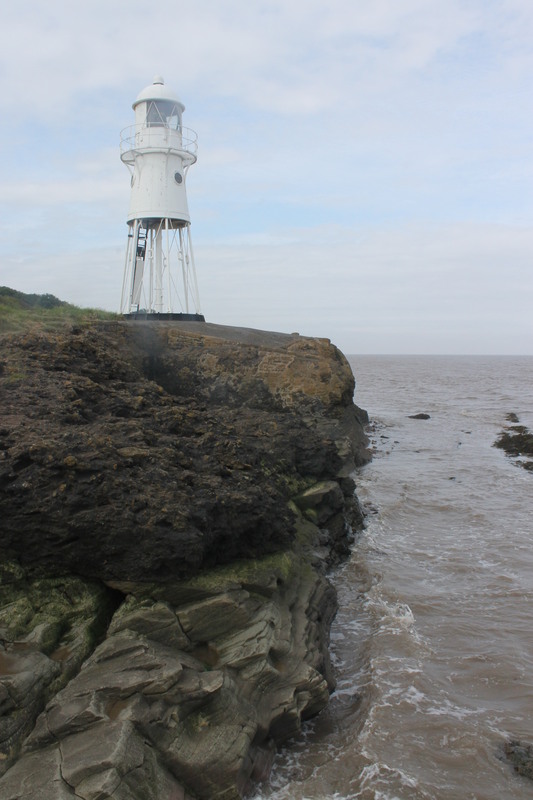 The local community successfully campaigned for the lens to be restored and set up the Black Nore Lighthouse Trust in order to maintain the structure, which is the only remaining Victorian iron lighthouse on mainland Britain. The light, which was originally gas-powered and then oil and then electric, is now turned on for special occasions – and they obviously need to send out notification that they are going to do so, in order not to confuse those at sea. He said that a website had been set up about the Trust, but it looks like the domain name may have expired. Hopefully they’ll get it back up and running soon. As we ended our conversation, Balmoral appeared from the east and we watched as it sailed on past – at quite a speed considering its age!